Even though most producers would be busy checking calving mob, you should have already been thinking about what sire/sires you plan on using to join to in the coming weeks. As a producer, there are many critical aspects that go into selecting a new sire for the herd. Future Beef has written an excellent article, ‘Bull breeding soundness examination’, articulating the small details that are critical to look for when selecting a new sire for the herd. One aspect to keep in mind when selecting a new bull to purchase, or what females he’ll join with, is how he’ll impact your herd and breeding in two years’ time. It’s essential to select bulls based on the traits you’re looking for in the future, as a sire’s genetics can last in the herd for up to five generations. This is crucial when picking sires specifically if you plan on retaining the daughters. Ideally, plan this year’s mating based on the heifers you will be potentially calving in two years’ time. This will help create a stronger future direction line of females and will also allow you to establish the areas of your herd that need to be improved or eliminated. While thinking about the future herd, you may consider using newer genetics to gain better performance, rather than genetics that have been ‘beaten around the bush’ and overused. After calving, we know it’s up to the cows to look after their calf to the best of their ability, but as the producer, it’s up to us look after the cows to the best of our ability. A part of our job is to make sure the females are capable of recovering quickly and efficiently, and one way to achieve this is via supplementation. 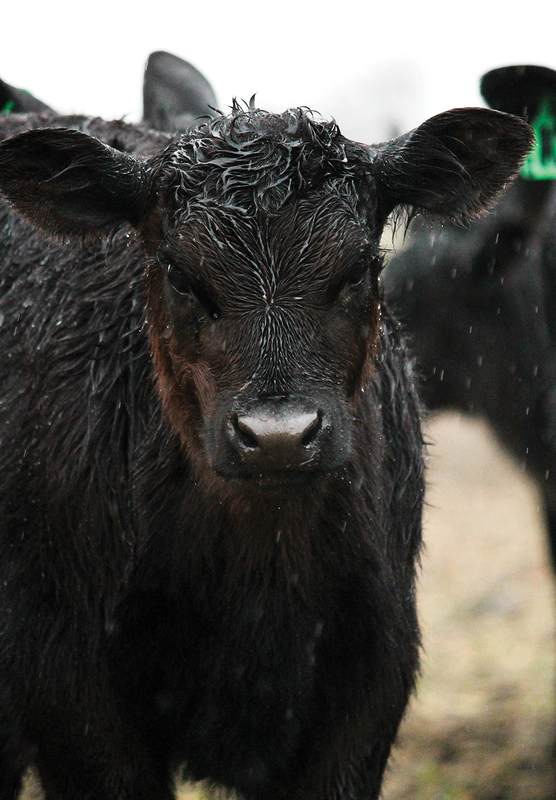 Moving cattle with fresh and young calves can be incredibly difficult. Beachport Liquid Minerals has been able to take that stress away, allowing the animals to receive supplementation with requiring them to be moved out of their paddock. Our product is designed to go through a water trough and is most effective when used with the BLM dispenser. 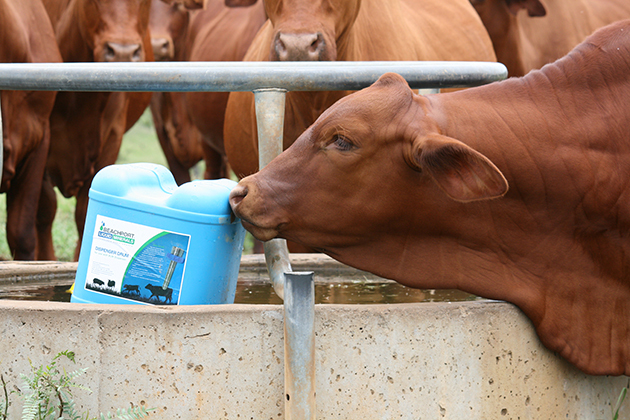 The product is dispensed over three days, which means every cow in that paddock will have consumed the product as they drink water in that three-day period. Beachport Liquid Minerals Blue Cap or White Cap (for those deficient in Phosphorus) given to the females prior to calving will assist in the females remaining fit and strong, aids in milk production after birth, as well as benefits newborns, to be stronger at birth. Given post-calving, it will aid in the health and maintenance of the female while assisting her to recover from calving. To benefit both sires’, Beachport Liquid Minerals should be given six weeks before and then again at joining. By giving Beachport Liquid Minerals at these key times, it will assist in tightening up calving and aids to improve the fertility of the adults and survival rates of foetuses. At the same time, receiving Beachport Liquid Minerals through the milk will aid in rumen development in the calves. For further information on the Beachport Liquid Minerals supplement range check out our corporate videos with real testimonials from producers around Australia.